This clinical shadowing is completely different than what you may have experienced before. Our newly created shadowing program is focused on reducing the burden on you, while still providing the students with this important opportunity. We don’t want our member physicians to feel burdened with any extra responsibilities when volunteering to allow students to shadow them. We work with the students before the shadowing experience to make them aware of specific restrictions, that they are only to watch you and can only ask questions during appropriate times. Clinical Volunteering is an opportunity for students to be in the physician’s office, but their activities are mostly restricted to clerical or observation. In this role students can participate in a variety of duties in a clinical setting, which may include verbal and/or physical contact with patients. This opportunity may lead to shadowing. Traditional Clinical Shadowing is when a student observes the doctor-patient interaction. Usually shadowing does not include physical contact or interaction with patients. The physician is not required to teach the shadowing student and likely will NOT write a letter of recommendation. 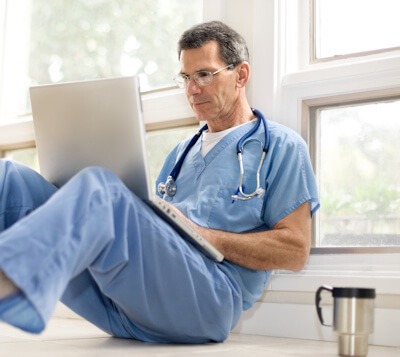 Clinical Shadowing may lead to mentoring, but it is not typical. Mentoring includes advising, training and teaching. Like the Shadowing opportunities, mentoring may involve physical contact with a patient and/or learning procedures. Often this experience will lead to letter of recommendation for mentee. Why should you participate as a physician? As a physician in King County you have a unique opportunity to influence the next generation of physicians. Many students in King County need these Shadowing experiences, and giving them the chance to watch, learn and reflect will greatly impact their decisions about their career choices. Participating in King County Medical Society’s Shadowing Program does not mean that you have to be the student’s immediate mentor. The time commitment and level involvement are completely up to you. Any amount of time given to this program is gratefully welcomed. Any amount of time- an hour a week or an hour a month- is a worthwhile commitment to the pre-medical community.